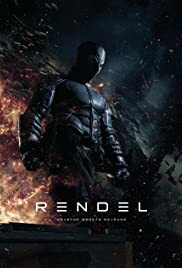 Director: Jesse HaajaWriters: Jesse Haaja, Pekka LehtosaariStars: Kristofer Gummerus, Rami Rusinen, Renne KorppilaSummary: The Rendel movie is a story of a man blinded by his desire for revenge and hatred. Even though Rendel can be considered as a super hero, he is somewhat darker than the traditional representatives of the genre. The movie takes place in the fictionalized version of a Finnish city, Mikkeli.